I'm not sure how the 'defrocked Cardinal' story will play out in America's news. Assorted presidential campaigns will be building up steam, and there's no shortage of other newsworthy angst. I've read that spiritualism and spiritism started in the 18th or 19th centuries. Folks who take one or both seriously seem to think spiritism isn't spiritualism. How the 'isms' are different depends on who's talking. Some say spiritualism is a religion, while spiritism is a social movement. Or spiritism is a science and spiritualism isn't. Folks who saw virtue in unquestioning devotion to established values didn't like the 1960s. No institution, custom or belief seemed safe from scrutiny. Even the idea of progress — a cherished heirloom from the Age of Enlightenment — was challenged disputed, and ultimately rejected. Visions of a technotopia, where our greatest challenge was deciding how to spend our leisure time, were fading. Perhaps even more disturbing for social Luddites, the nation's youth seemed ill-suited for their assigned role as torchbearers for liberty, conformity and suburban living. Someone's 'Tweet' about sin and how someone responded showed up in my Twitter feed Sunday. I noticed an unusually goofy item in my Google news feed that evening. Instead of expressing outrage and (self? )-righteous indignation over either or both, I made a few notes and went on with my day. About 78 folks were on Amtrak Cascades passenger train 501 Monday morning. They'll be late. At best. The good news is that only a small fraction of California is on fire or incinerated. The bad news is that this year's California wildfires have been big, destructive, and aren't over yet. I'll be talking about a few of the fires, why I think troubles aren't over for folks living in California, a little about wildfires in general. Also how I see disasters, God, nature and beliefs: sensible and otherwise. 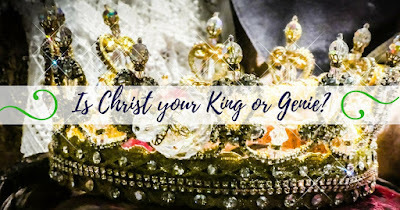 Is Christ your King or Genie? If you are in or from the United States, I hope you are having a good Thanksgiving Day. If not, I trust that you're having a good November 24th. Some folks write sober monographs for this holiday, thoroughly discussing the myriad reasons we have for being thankful. More, but not much more, at A Catholic Citizen in America. ("Police say a number of students had to be medically evacuated from the school"
This universe is bigger and older than some folks thought, a few centuries back. I don't mind, at all. Besides, it's hardly new information. We've known that we live in a big world for a long time. Quite a few parts of the Bible don't talk about forgiveness. But quite a few do, and they're not just in the New Testament. This morning's second reading doesn't mention forgiveness directly, but the verse right after it does. They all say why forgiving is a good idea. Harvey's in the news, a lot, and probably will be for days. ...News reporting generally uses more superlatives than I like. "Unprecedented" seems to be particularly popular with BBC News editors at the moment. Harvey was still a tropical storm when it went over the eastern Caribbean. That was a little over a week ago. Folks in Barbados were without power for a while. At least one house was destroyed, and more folks had to evacuate their homes. Pretty much the same thing happened in Saint Vincent and the Grenadines. Suriname and Guyana had wind and rain: enough to kill at least one person, a woman whose house collapsed with her inside. A Solar eclipse sweeping from coast to coast dominated Monday's news in America. I saw headlines describing the event, weather in different states, how folks had prepared and how they reacted, and some of the science involved. But I'm not upset by Non Sequitur's 'Church of Danae,' particularly since I see the funny side of the cultural quirks Wiley Miller highlights. I do, however, occasionally use Danae's distinctive theology and Eddie's "Biblical Prophecies" as a contrast to my faith. I'm a Christian, and a Catholic. I have well-defined views on social and legal issues: but I am not conservative or liberal. I'm Catholic. A vehicular homicide case near the intersection of Fourth and Water streets in Charlottesville, Virginia, is international news. I regret the loss of life, particularly since the driver apparently intended to harm or kill the victims. I'll get back to that. Heather Heyer had been with several other folks there, protesting something — or maybe someone — which or who she felt should be inspiring more outrage. Using drones to deliver vaccines seems reasonable for places like Vanuatu. But vaccines won't help if folks don't know how to use them correctly, or can't. Others avoid vaccines because they believe warnings from dubious sources. Today is American Independence Day. It's also the anniversary of Alice's Adventures in Wonderland's publication and Trois-Rivières founding day. Ashikaga Yoshiakira's birthday, Pactum Sicardi, and whole bunch of other stuff make this day important, too.